Because the future is already here, it's just not evenly distributed it can be dismissed or even look ridiculous. Blockchain is an example of this dilemma for businesses - as too often use cases appear as some form of far-fetched magical digital alchemy for products and/or a completely opaque geek-technology fantasy. There is evidence that blockchain is moving through the hype-cycle and the buzz around the innovative technology recedes and the focus moves to how it can solve for unique global use-cases. 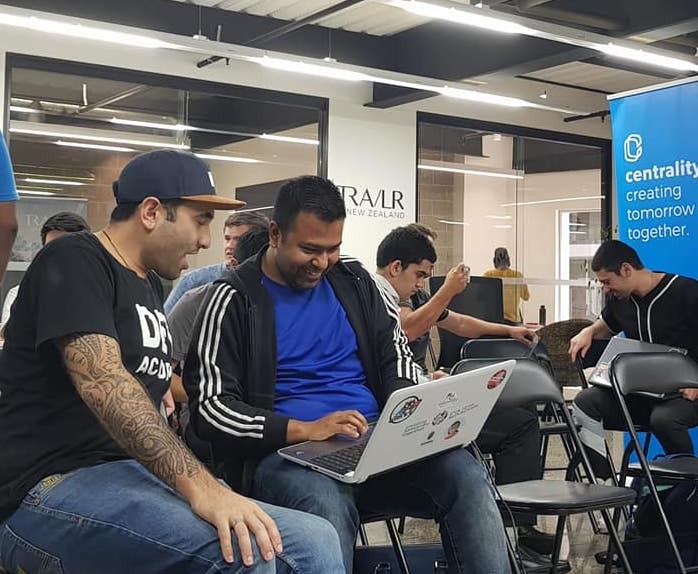 A Callaghan Innovation report published in December – Distributed Ledgers and Blockchain, Opportunities for Aotearoa New Zealand – suggests New Zealand has significant potential to be a world leader in tech through early mass adoption of blockchain. Author Josh Vial says: "Blockchain... can grow our direct technology exports and help ICT to become the second biggest contributor to gross domestic product by 2025." 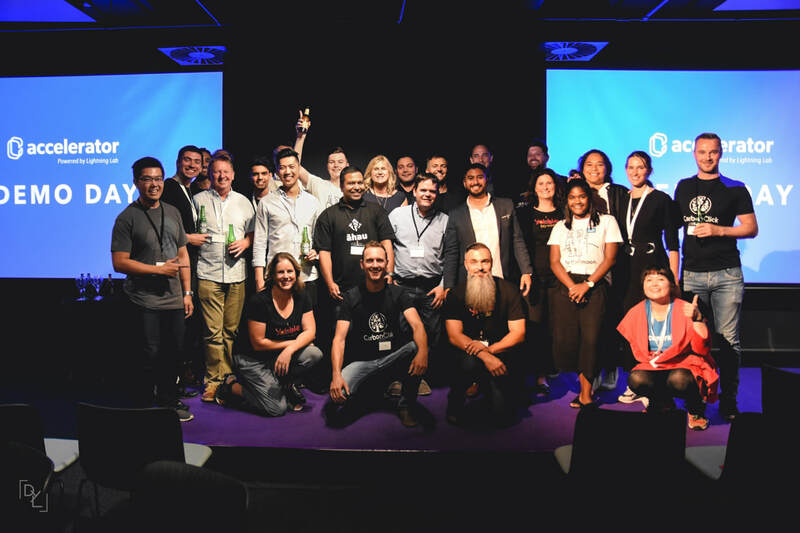 At the Demo Day for Centrality's Accelerator six ventures showed that valid, commercial use cases for this exciting technology are being created right here in Aotearoa New Zealand. Centrality, a New Zealand blockchain venture studio, have partnered with Creative HQ's Lightning Lab to help accelerate Kiwi blockchain ventures. CEO Aaron McDonald describes Centrality as creating a $400m global venture and platform model to enable hi tech startups to get to market faster, grow faster and decentralise the internet. Blockchain... can grow our direct technology exports and help ICT to become the second biggest contributor to gross domestic product by 2025." The six startups in their first accelerator were pitching to a packed house of entrepreneurs, Government-types, corporates and most importantly - investors. Co-leader of the Green Party and Minister James Shaw opened the Demo Day with a message that creativity is at the heart of the Aoteaoroa New Zealand digital economy. The ventures did not disappoint. Technology is now New Zealand’s third-biggest export sector, bringing in more than $16 billion a year in overall revenue - and obviously offers some clear advantages over primary produce in terms of environmental impact. The six teams covered a broad range of big market opportunities across reinventing global film distribution; food provenance; creating an indigenous identity and community platform; carbon credits; household payments and marketing insight. CentraPass is a digital travel ID that saves travellers time and simplifies travel. CentraPass helps tourism businesses personalise their customer experience and capture more value. It will allow fast check-in and provide toursim providers with insights on their customer journey data. CentraPass are looking for $300K. Pocketful is a social sharing wallet for flats, joint accounts, groups that manages income/spending and budgeting. Founder Steve Adams pitched it as solving those “awkward conversations” around who has, or hasn’t, paid what. Other use cases include person-toperson payments without involving a bank; allowing landlords and property managers to manage tenant requests, book maintenance contractors and schedule inspections – all tracked and recorded through blockchain. Pocketful are seeking $300K. Yabble is an existing business on track to deliver $1.6m revenue this year and which is disrupting the traditional market research industry. Yabble is a collaborative platfrom for research that transforms the speed, transparency and value exchange between brands and consumers. CEO and Co-founder Kathryn Topp talks of the “unethical data iceberg” where major technology and consumer brands harvest billions of dollars from consumers’ data with no return to the consumer. She describes Yabble as “gigging data the ethical way” and used the example of a consumer being able to earn $5 for drinking a bottle of beer. Yabble has already returned $100k to consumers already and is looking to raise $3m in New Zealand before heading overseas. It's Demo Day next week for Āhau, an exciting Māori blockchain startup I've been helping with. 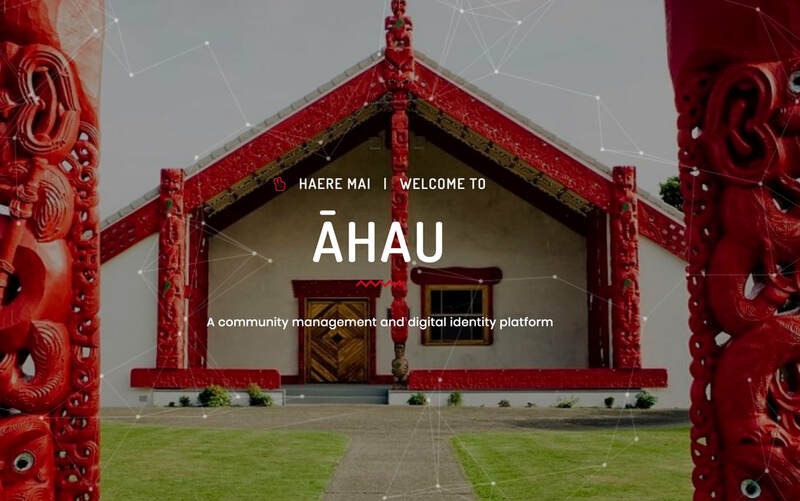 Āhau is a cultural identity and community management platform that enables tribes to better stay connected with their people, and increase community involvement and activity. 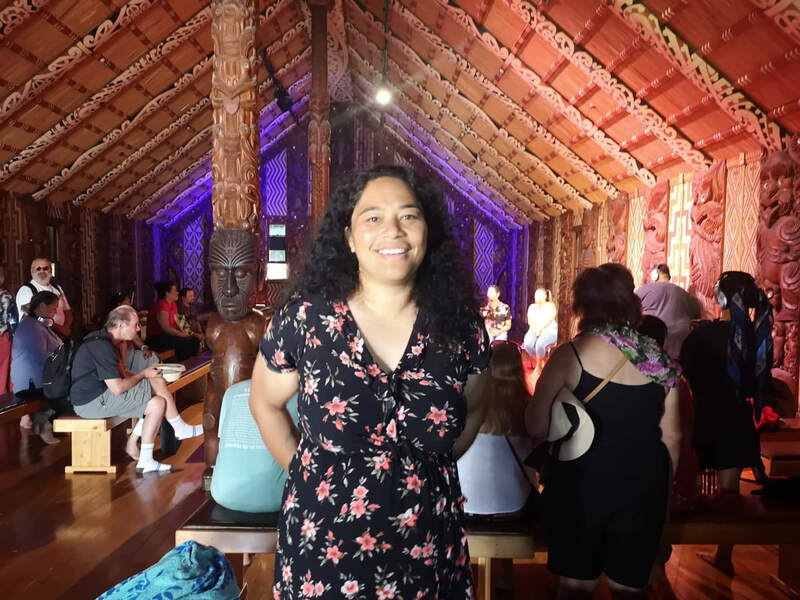 Āhau have been working in the Centrality Accelerator powered by Lightning Lab, building a platform for tribal groups and indigenous peoples to address some of the major issues around tribal management, cultural heritage, and digital transitioning, while anchoring to matauranga Māori principles and values. Āhau are using blockchain technology to provide tribal groups and individuals with ownership, access, management, and security of personal data. Their kaupapa (mission) is to empower our communities and people to build stronger, healthier communities, and a stronger sense of identity and belonging amongst tangata (individuals), whānau (families) and communities. With 700,000 Māori in Aotearoa New Zealand and 370 million indigenous peoples worldwide the potential for this solution to take off is exciting. The team is made up of Ben Tairea, Kaye-Maree Dunn and Sam Kaw. There's more information at www.ahau.io. As businesses do we focus enough on sustainability? Based on what's posted on LinkedIn I would say probably not. Content on business growth and personal growth (and oddly Yoga) are what seemingly attract business owners and managers . 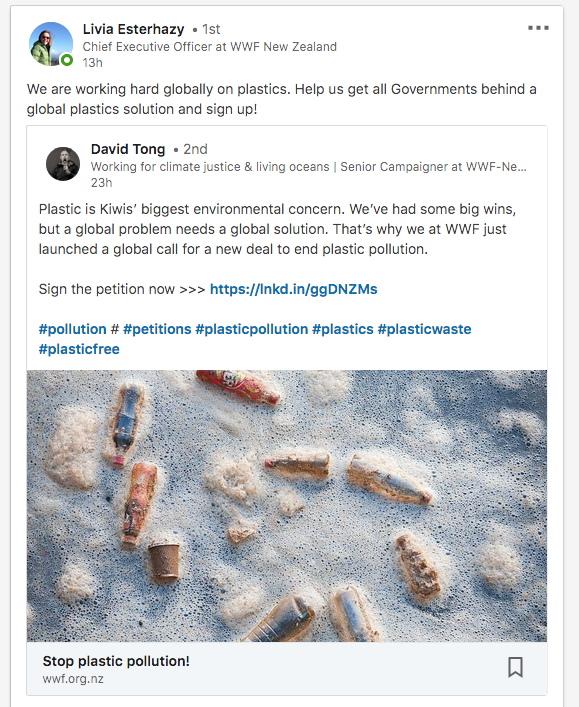 In fact this post on stopping plastic pollution which appeared in my feed stood out so much it got me writing this blog. There is more evidence out this week that New Zealand businesses aren't doing a good enough job in being seen to be active in regards to sustainability - despite it being a major issue for consumers. In fact the Colmar Brunton survey Better Futures shows the issue of plastic pollution is an even bigger worry than the cost of living for consumers and more of them are taking action. In fact 4 out of 10 New Zealanders are highly committed to living a sustainable lifestyle and they want to hear more from businesses. 7 out of 10 Kiwis are unable to name a brand that is a leader in sustainability." Despite the fact that sustainable choices and actions are firmly on the agenda of New Zealanders, the survey shows that 7 out of 10 Kiwis are unable to name a brand that is a leader in sustainability. For businesses it's more than just about marketing and brand - it also makes good business sense to be sustainable. McKinsey show that sustainable businesses actually perform better than their counterparts and that developing a corporate culture of sustainability may be a source of competitive advantage for a company in the long run. High-sustainability companies perform better with higher return on assets and equity." They show that high-sustainability companies did better with respect to return on assets (34 per-cent) and return on equity (16 percent). Obviously many businesses have sustainability objectives in their strategies and nearly 500 are members of the Sustainable Business Network which is the largest and longest-standing organisation dedicated to sustainable business in New Zealand. Done correctly, sustainability and the digital transformation of businesses should go hand-in-hand. Atamai's digital benchmarking uses a holistic model to take a whole-of-business approach to digital transformation. Our approach is based on tried and true principles to drive sustainable outcomes. Businesses just cannot afford to not be part of this conversation. 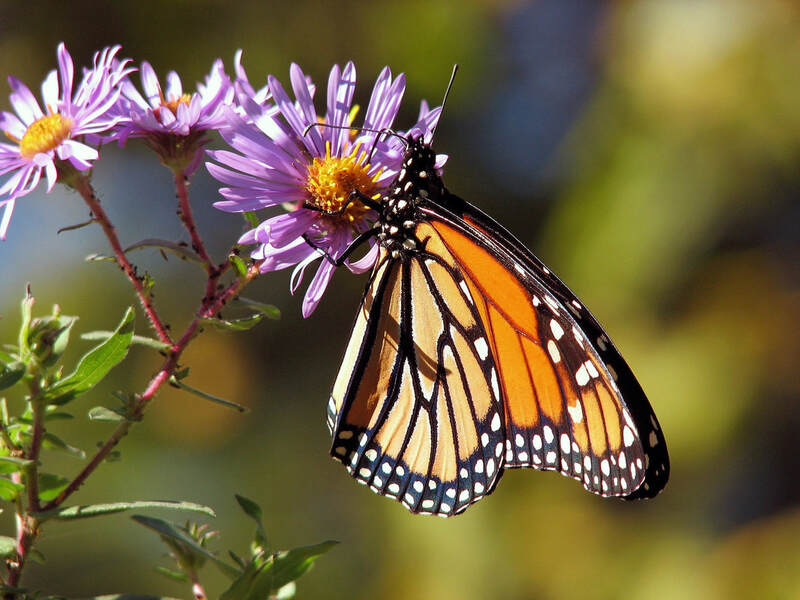 Will 2019 be the year digital transformation comes good? More companies than ever are looking to transform their business with digital - and maybe 2019 will be the year that more of them than ever succeed. Because CEOs are now realising that digital transformation requires a holistic approach and that culture and minsdet change is a key factor for success. A 2018 Gartner survey reinforces this with an even greater recognition of this from CEOs whose companies have a digital initiative underway. The survey revealed that CEOs now understand that making their culture more proactive, collaborative, innovative, empowered and customer-centric is what will drive success in digital. Digital projects do not create a digital business - a much more holistic approach is needed." The reality up to now has been that businesses get stuck running digital projects in an effort to digitally transform. Digital projects do not create a digital business - a much more holistic approach is needed. Ask anyone who has delivered good digital outcomes - either for an existing business or creating a new one - what was the key ingredient for success? The answer is unlikely to be technology or even funding - overwhelmingly it will be a strong team operating in an empowering culture. That's certainly been my experience. Another factor that indicates a C-suite mindset change around digital transformation is occurring, is more digitally mature organizations now definitively having the CEO leading it (41 percent, up from 22 percent) versus the CIO (now just 16 percent, down from 23 percent), according to the latest data from the MIT Sloan Management Review. This is a dramatic turnaround from years past and shows that digital transformation now being one of the top priorities of the business as a whole. It is hugely encouraging that CEOs are now stepping up and leading digital transformation. They can provide the vision and purpose, the environment to experiment and the mandate for their organisations to think differently and get collaboration across boundaries. Too many Kiwi SMEs are struggling to keep up with the pace of technological change – even as their businesses are disrupted by it." For CEOs of SME businesses this leadership role is even more critical as with a smaller organisation getting digital wrong can be terminal. And too many Kiwi SMEs are struggling to keep up with the pace of technological change – even as their businesses are disrupted by it. According to the latest MYOB Future of Business report 22 per cent of SMEs said technology would not have an impact on their industry over the next few years. Small businesses employ 30 percent of New Zealand’s working population and produce around 27 percent of New Zealand’s Gross Domestic Product. It's critical that these businesses are leveraging digital well to drive the digital economy for Aotearoa NZ. So evidence of a shift in mindset to a more holistic approach to digital transformation is good news for business and good news for the digital economy as we move into a new year. Understanding the narrative you operate in is critical for any organisation, knowing how to influence it through storytelling to create impactful change is transformational. 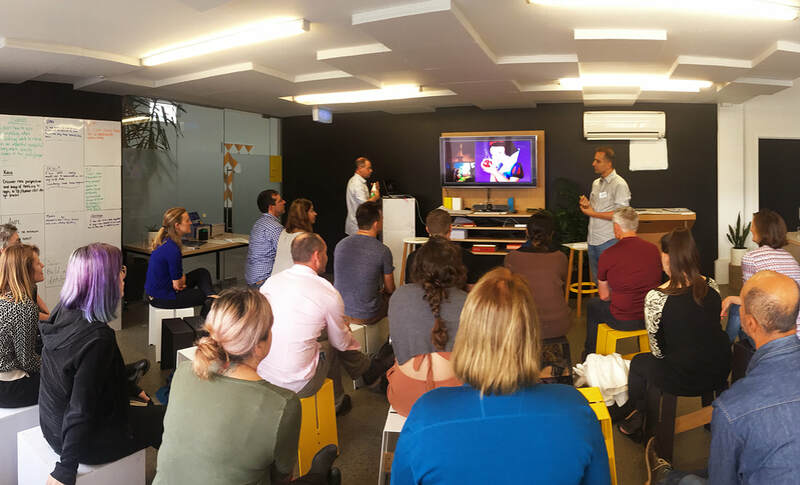 As part of Experience Week Peter Fletcher-Dobson from Atamai Digital and Philippe Coullomb from Wheretofromhere ran a one-day workshop on how organisations can drive systemic change through storytelling. Participants from more than 10 public and private organisations including Ministry of Education, Ministry for Primary Industries, Change for Good NZ, Pure Advantage, Horizon State and MtVic Hub were introduced to powerful models to both understand and change dominant narratives through storytelling to create impactful change. Workshop participants explored dominant narratives around several societal issues: teachers’ pay, the value for money of public sector, climate change, or the closing of public services in rural areas. A key focus of the Narrative and Storytelling workshop is to understand the difference between stories, used to convey messages with more impact, and narratives that connect stories and create new meaning. A. Rahman Satti , one of our participants, reflected that “We do a lot of work on stories, but I never thought about narratives. It’s very powerful”. We do a lot of work on stories, but I never thought about narratives. It’s very powerful”. For organisations looking to transform their business understanding the overarching narrative and stories around their Brand or product is critical. Global companies such as Nike or Patagonia are masters at redefining narratives to differentiate their brands but also to create powerful societal change. Whether you are a large or small organisation or an individual - the workshop gives you the tools to begin redefining a narrative and to create the powerful stories needed to drive a new narrative. I feel more confident to use storytelling in my life. 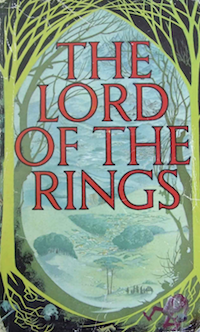 The link between narrative and stories is very relevant to my products. 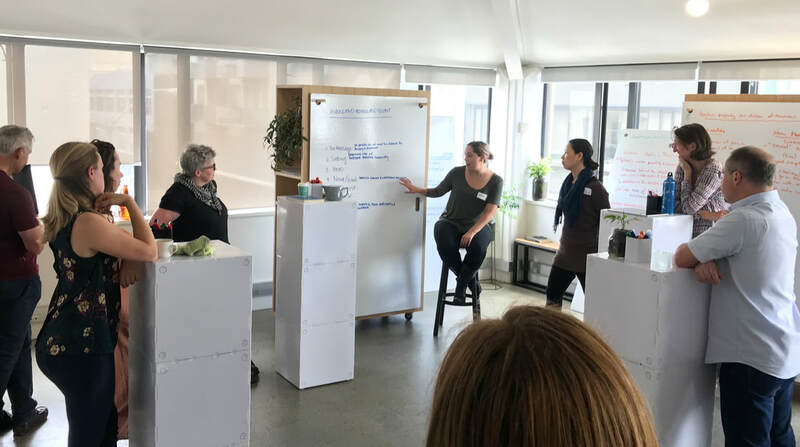 Participants enjoyed being challenged and gaining the power to be able to deconstruct narratives to drive businesses or cause-focused organisations and groups. Reach out to know more about how you can leverage storytelling to enhance and accelerate transformation. Exponential technology change is increasing rate that digital disruption impacts on business models and organisations. Yet 80% of digital change programmes fail. Find out how to avoid joining the club of failed digital transformations. For many businesses just knowing where you are on the digital journey and what the next steps are is key. We use a holistic benchmark to measure your business's digital capability and clearly show the pathway to your aspirational state. 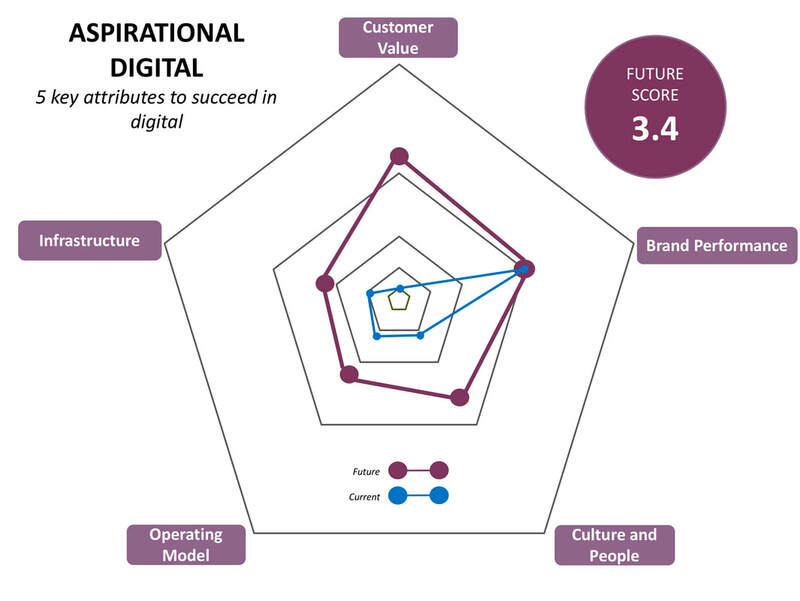 Using the benchmarking we create a roadmap to link the current with future aspiration to deliver both digital enablers and digital Key Performance Indicators using design and delivery principles to de-risk your transformation. A digital transformation is a marathon - but it's a marathon completed in many sprints. But by taking a holistic view and using an iterative approach delivering on near-term quick wins organisations can start delivering customer - and internal - value faster, with lower risks. Exponential technology change is increasing the rate that digital disruption is impacting on business models and organisations. The impact on businesses that are not born-digital can be highly problematic, as I have written about before. For medium to smaller organisations the challenge can appear overwhelming - where on earth do you start and how do you avoid joining the club of failed digital transformations? 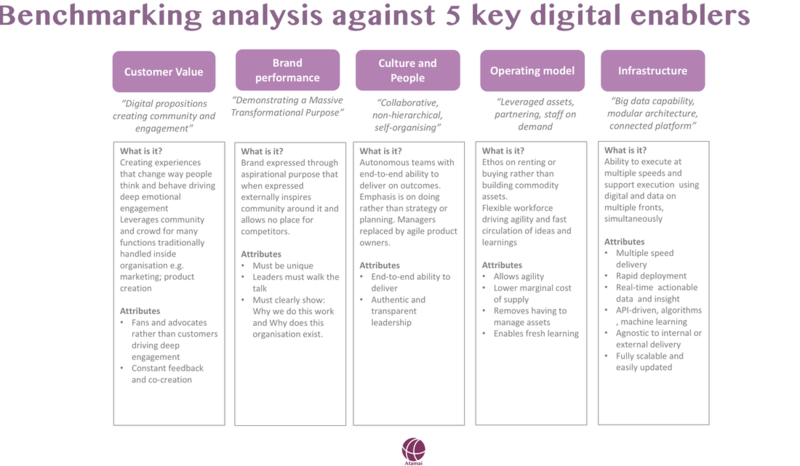 A useful way to clear away some of the noise is to begin by defining how businesses respond to digital - and what that means for their culture & people, operating model and infrastructure strategies. Engage with an existing or new customer base through a digital distribution strategy. The channel is often siloed and run by a "digital department" and exists alongside other channels and often supported by manual processes. Allow digital to drive simplification and automation of the core business which in turn creates highly innovative customer experiences and Brand differentiation. Air New Zealand has been a digital pioneer in the airline industry and aspires to be leading digital airline globally. Digital drives the business strategy. 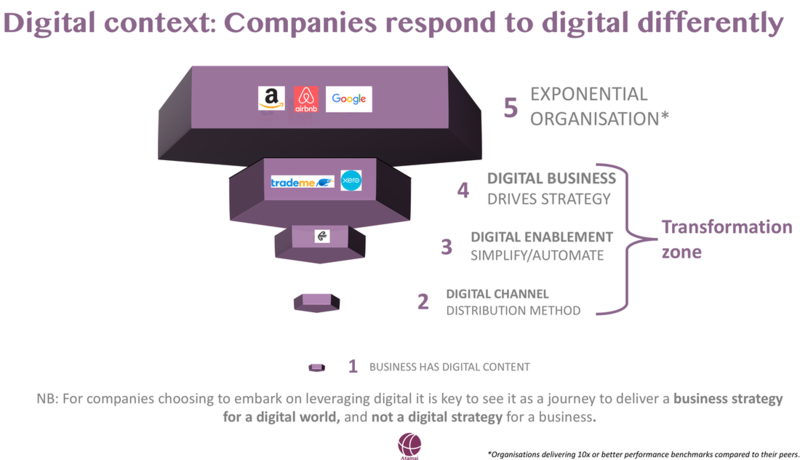 These are digital businesses where they operate a business strategy for a digital world, as opposed to a digital sub-strategy. Organisations currently succeeding in this have primarily been blessed by being born-digital and taking a tech company approach to previously non-digital markets, like Xero with accounting and Trade Me in marketplace and classified advertising, But the reality for businesses over the next decade is that to grow and thrive in a digital world they will need to transform into a digital business. I'm Peter Fletcher-Dobson. Passionate about delivering smart digital transformation for SME businesses to drive the digital economy and to ensure no-one gets left behind.